While helping clients realize their real property goals during the past three decades, Dennis Ellman has consistently maximized his clients’ opportunities in all economic cycles. Mr. Ellman advises and represents real estate developers, brokers, investors and affiliated construction and architecture professionals in financing and loan workouts, lease negotiations, construction contracts, project agreements, and all aspects of real property acquisitions and dispositions. Known for his practical deal-making, his skillful parsing of a transaction’s critical terms, and an innate sense of his clients’ risk thresholds and how to protect their interests, Mr. Ellman has counseled generations of real estate developers. He is well-attuned to the entrepreneurial perspective of his developer clients and provides them with the legal context to take advantage of high-value opportunities while managing financial commitments. He has structured and advised on sales and leasing of major industrial properties, shopping centers, commercial buildings and residential developments throughout Southern California, Nevada and Texas. These include Buena Park Mall, the Universal Music Group Building in Santa Monica, and the Beverly Center. The building of ultra high-end custom homes, and the myriad legal agreements and decisions connected with the successful construction of these residences, is another practice focus of Mr. Ellman. His lifelong passion for architecture informs his comprehensive counsel to individual homeowners in this area. His role is often akin to a “legal” general contractor-overseer. Mr. Ellman’s representation covers all phases of construction – from dirt to doorbell – and ranges from land acquisition and entitlements, to contractor and architect agreements, right through to project completion. Mr. Ellman is a leader in our Firm and the community. He is a past president of the Juvenile Diabetes Research Foundation’s Los Angeles Chapter and currently serves on its advisory board. He also is a senior referee for the American Youth Soccer Organization (AYSO) in matches across Southern California. Mr. Ellman was the former head of Greenberg Glusker’s real estate practice and sat on the firm’s Management and Recruiting Committees for many years. 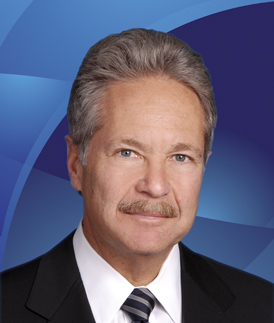 Mr. Ellman is a frequent panelist and lecturer on commercial leasing and other areas of real estate law. Most recently, he was a panelist at the Real Estate 2008 Conference in Los Angeles.